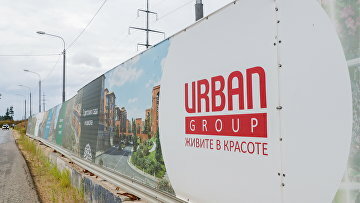 Moscow court registers bankruptcy applications against Urban Group’s subsidiaries | Russian Legal Information Agency (RAPSI). MOSCOW, October 22 (RAPSI) – The Moscow Commercial Court has registered bankruptcy applications against three more subsidiaries of the Urban Group development company, RAPSI has learnt in the court. Russian capital bank has filed an application seeking bankruptcy of separate “Urban group” firm headed by the Urban Group owner Alexander Dolgin. Also, in November the court will hear claims against “Urban capital” and “Urban designing”. In September, the Tenth Commercial Court of Appeals has upheld ruling of a lower court declaring five more subsidiaries of the Group bankrupt. In August, the Moscow City Court has upheld arrest in absentia for ex-CEO of Urban Group development company Andrey Puchkov charged with abuse of office. Puchkov was put on the international wanted list and arrested in absentia in early August. The defendant appealed the ruling, but the appeal was dismissed. According to the defense, investigative activities against ex-Urban Group CEO were conducted in violation of law, and the case was launched against him for weak reasons.